It feels like whenever I'm at the Indianapolis Motor Speedway in May it is hot as an exhaust manifold...or Linda Vaughn. Since the first running of the Indianapolis 500 in 1911 until now, the average air temperature was 67.2 degrees on race day. The hottest day clocked in at 92 degrees in 1935 - of course the temperature on the track gets much hotter. That said, 1953 Indy 500 is often called the "Hottest 500." Carl Scarborough started the Indianapolis 500 on the seventh row. On lap 69 he spun to avoid hitting Tony Bettenhausen. He was feeling poorly so he made his way back to the pits to be replaced by relief driver, Bob Scott - Bob's own car was out of the race due to mechanical difficulties. He drove the rest of the race for Carl and finished in twelfth place. Carl was taken to the speedway's hospital, where his temperature was recorded at 104 degrees. Physicians there unsuccessfully performed open-heart massage before Scarborough was pronounced dead. The temperature was 91 degrees in Indianapolis that day and track temperature reached 130 degrees. Due to the extreme heat, several drivers required relief drivers, and some relief drivers even required additional relief. Nine drivers were treated for heat-related illness. Pat Flaherty suffered minor injuries when he fainted and crashed into a wall later in the race. 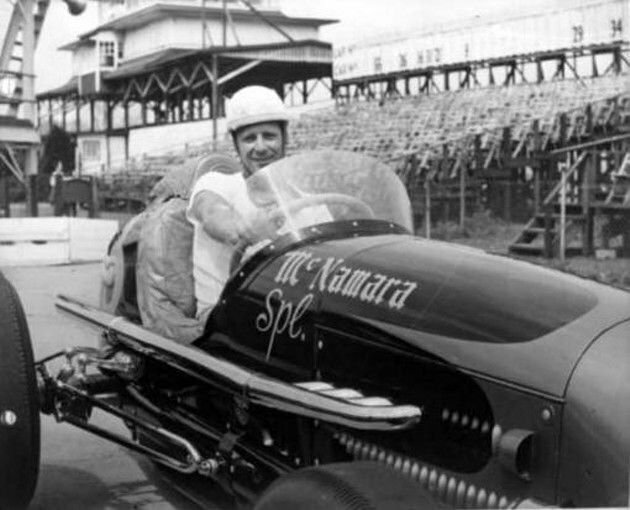 Winner Bill Vukovich, as well as second-place finisher Art Cross, both ran the full 500 miles solo. Carl Scarborough's body was sent to Michigan, where funeral services were held with burial in Perry Mount Park, in Pontiac, Michigan on June 3rd, 1953.